Mu Cang Chai is more than a place to relax. 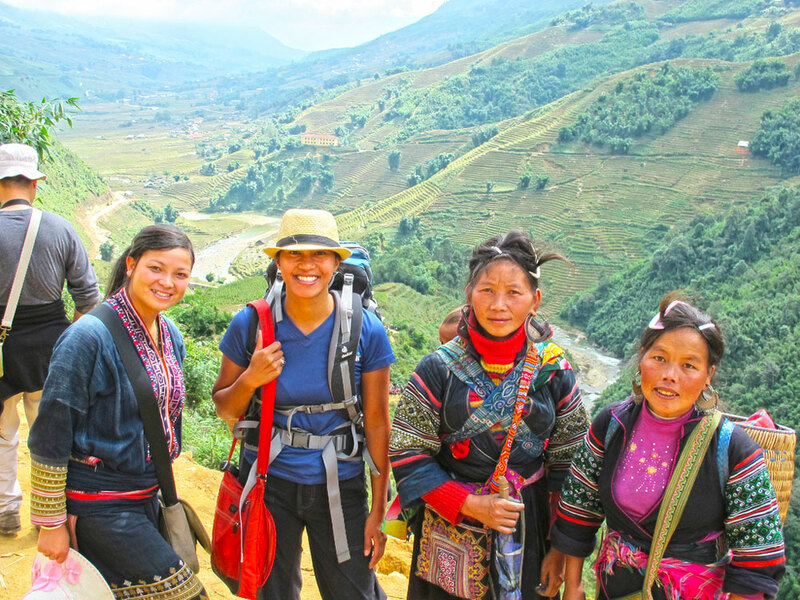 Vietnam Travel Tips Mu Cang Chai is more than a place to relax. Every year when the first breeze blows through Northern Vietnam, the mountains of the North West start to change. September is the time when wheat flowers bring the color of hope and the joy of a wonderful harvest to the local people. 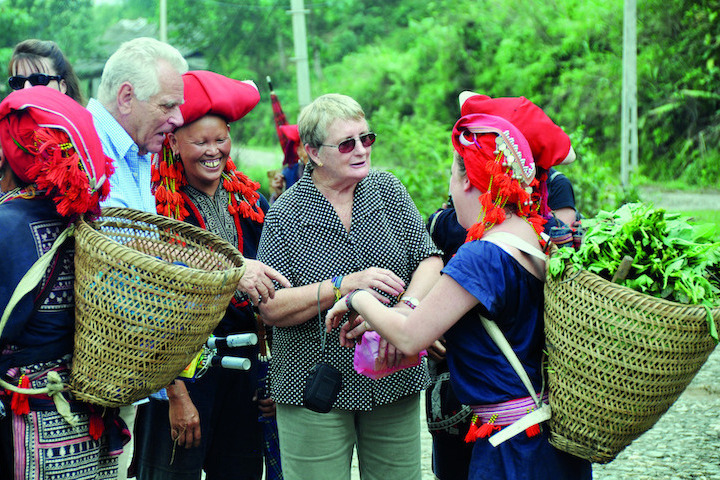 Nobody would want to miss the chance to admire Mu Cang Chai in its liveliest season, otherwise, they’ll miss the “one and only” harvest of the year. 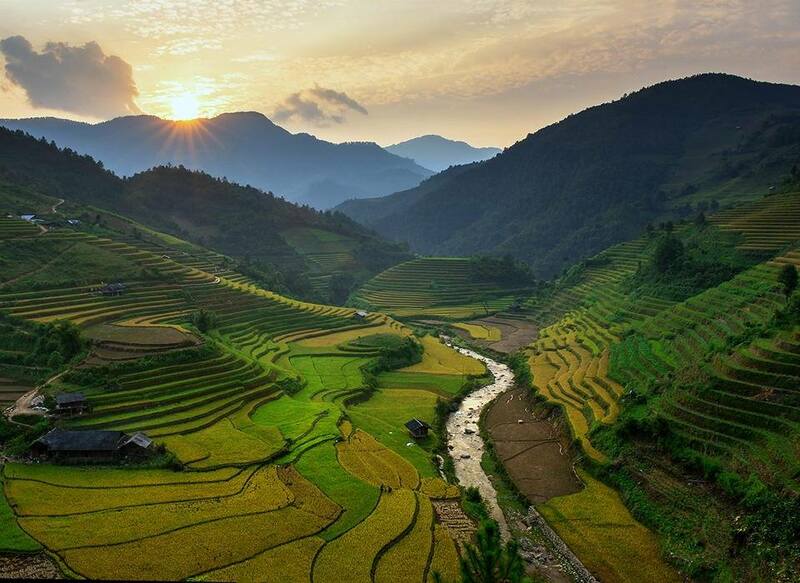 Rice terraces are one of Northern Vietnam’s special features, which never fail to amaze visitors. 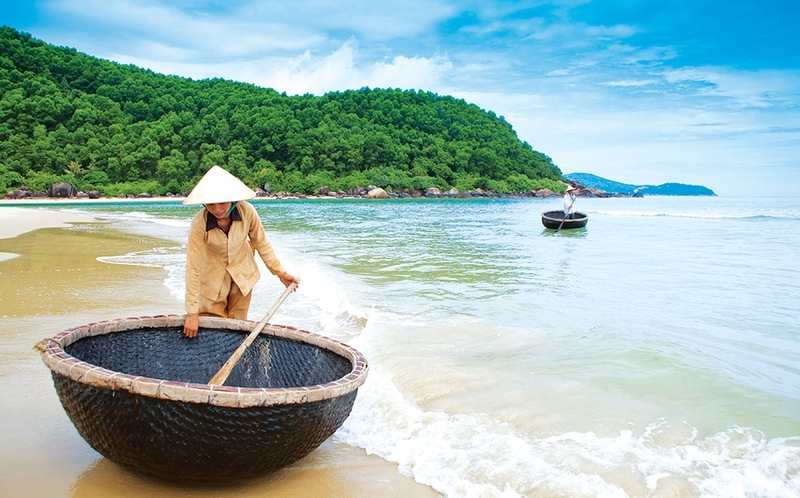 The Vietnamese describe the sight of the terraces as a must-try dish made from a secret recipe created by the mountainous climate and the constant hard work of local people. Everybody should taste it, even if just once. 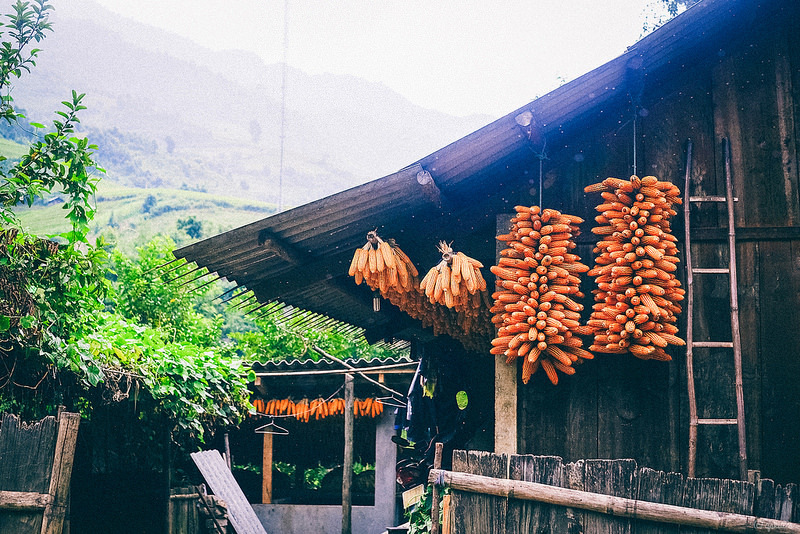 Some passionate travelers can spend a week living a life in Mu Cang Chai, but if you are a busy person, you can in a complete day do quite a lot. To begin, contemplate the giant green rice terrace stairs blending in to the magnificent forests and blue sky, and after your day of exploring, watch the sunlight glow bright before the sun fades away on top of the mountains. Have you ever imagined yourself waking up in the middle of a rice field? Well, if that sounds impossible it’s probably because of the sudden autumn rains and the narrow spaces between the rice “stairs”. However, any romantic idea can be realized in one way or another. What if you had the opportunity to stay in a house surrounded by rice plants? Or, to be more adventurous, what if you could sleep outdoors on the terrace of the house? All your senses will be awaked by nature. The moment your eyes meet the first light of the day will coincide with the moment your skin feels the cool of a gentle breeze, your nose smells the scent of the plants and your ears hear the sounds of the birds, which you can only dream of if you live in a busy city. And, then with a warm cup of tea held in your hands, you’ll know you’ve been awakened, naturally. Mu Cang Chai is more than a place to relax. Yes, you can sit and watch the clouds slowly disappear as sunlight starts to invade the sky; or lean back in a chair and read a favorite book. Nothing is more peaceful than the natural environment. 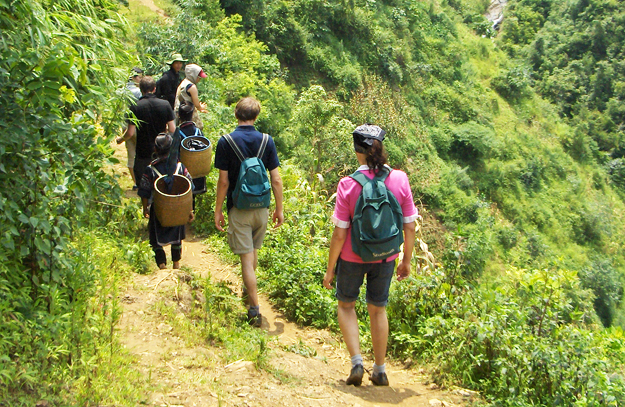 However, Mu Cang Chai is also an ideal region for adventurous travelers. If you love being active, this would probably be one of your most marvelous trekking sites. La Pan Tan, a large commune in Mu Cang Chai which contains several rice terraces is famous for visitors, yet is not as touristy as a few other mountainous areas in Northern Vietnam. If you want to conquer the 10 km road through La Pan Tan, you must prepare yourself carefully. Bring a hat as there are points you’ll feel you’re standing closest to the sun; a bottle of water to replace your sweat, and of course, a pair of good shoes to keep you from stumbling. With good shoes on, you can go anywhere. In this case, they can take you to magnificent landscapes you may have never dreamed of. From the bottom of the hills, it is easy to see the rice terraces looking like giant green or yellow stairs up to the sky. The stairs look steady yet have smooth curves that not every artist can draw. Instead of stepping up them, you have to move through them, feeling yourself getting higher until you reach the top of the mountains. The further along the road you get, the more you’ll be amazed. Sometimes it can be the sight of a bubbling stream en route. Sometimes it is a group of children playing with a dog. Sometimes it is at the top of a terrace, having no plants growing inside but filled with water and which reminds you of a pool sparkling under the sun. 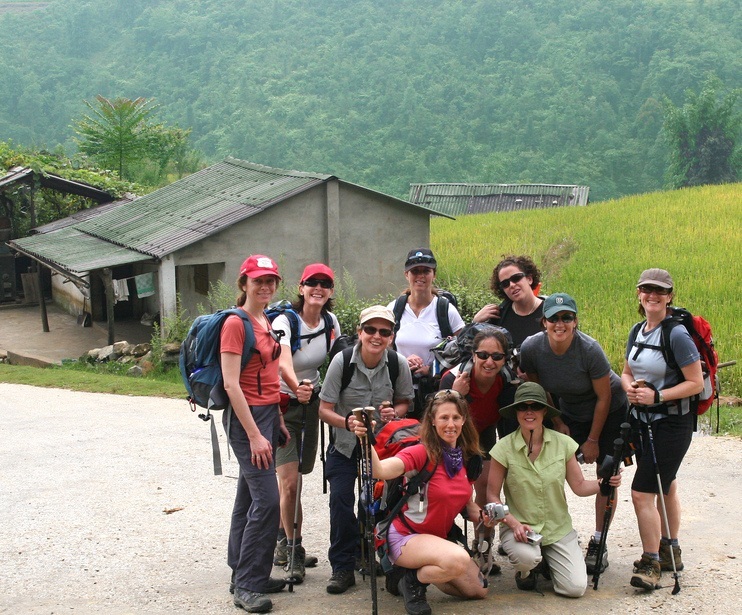 Nevertheless, the best highlight of a trek may not be the moment you reach the highest point, capture the panoramic view of rice terraces interleaving the mountains and say “we’re here now”. It can be the many other moments of the trip. 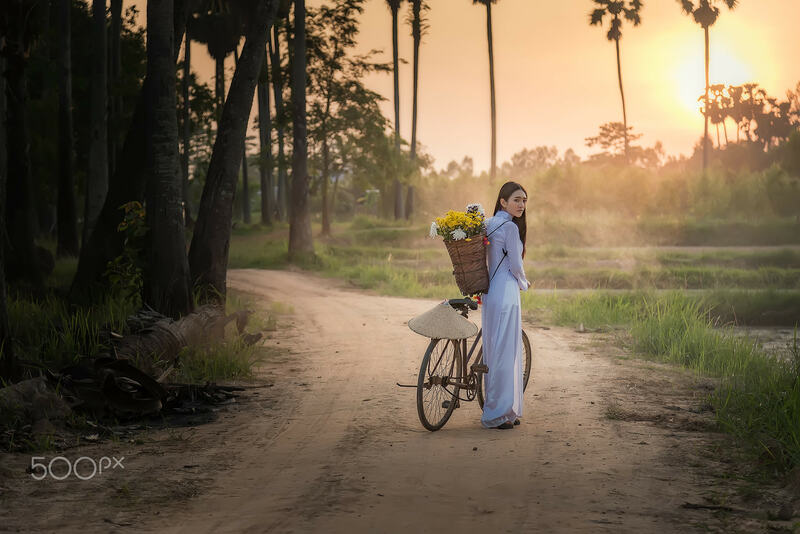 Like when you suddenly stop to see some local people in their colorful traditional costume working in the fields, or when you stop and realize where you are and how far you’ve come. Whatever the highlight moment is, it will be yours to enjoy. As you smell the smoke coming from the kitchen of your homestay, you’ll know it is time to enjoy some authentic local dishes for dinner. People here usually raise their own livestock and grow their own vegetables, so of course, their food seems to taste even better. The night in such an area cannot be more peaceful. You can gaze at the stars and have a little tea – talk with the host, or grab a book and enjoy yourself in another world. If you travel in group, your creative and fun side may get the chance to be shown off as there are large spaces to organize games and other activities. The mountains of northern Vietnam, an exciting yet mysterious place, are calling. Will you answer the call and go ?